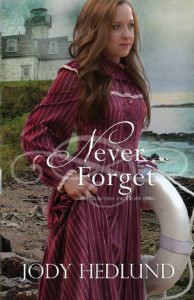 Never Forget by Jody Hedlund is a wonderful historical Christian romance. It is the fifth and final book in the Beacons Of Hope series but can be read as a stand-alone. I really loved it. There are many themes within the novel including that of new beginnings. Everyone can have a fresh start with God. Our past does not have to dictate our future. We can have a new beginning with God as He cleanses us. Tied in to the new beginnings theme is that of guilt and forgiveness. However we have previously lived, we know that we have been forgiven by God. We do not need to feel any guilt and we need to learn to forgive not only ourselves but others. The sins of the fathers is not destined to be repeated for generations. “If he was destined to end up like his father, then what difference did it make how he lived or how good he tried to be?” We can break out of the cycle of sin with God’s help. There is the topic of prejudice and appearances. “Was he so quick to judge by outward appearances that he wouldn’t look a man in the eyes and judge his worth there instead?” Too often we make snap judgements based on outward appearances. The reader is reminded that God looks at the state of our heart not the state of our clothes. The novel also deals with the topic of truth and lies. Sometimes lies are told with the best of intentions but a lie is always a lie. It is much better to tell the truth and face the consequences. Likewise the evil one will whisper lies to us. “He was too lost, too unworthy, too undeserving to make his way back.” We need to make sure we listen to God, the voice of truth. No-one is ever too far from God to be redeemed by Him. Reality is blurred within the novel for one character with dementia. Jody Hedlund has obviously researched dementia as the character of Hosea is well drawn. He brings out feelings of protectiveness not only within the other characters within the novel but also in the heart of this reader. Jody Hedlund shows the value of kindness within the novel. Kindness brings out the best in others. Kindness seeks to put others first. Kindness is closely linked to love and the novel lives out love as described in 1 Corinthians 13. 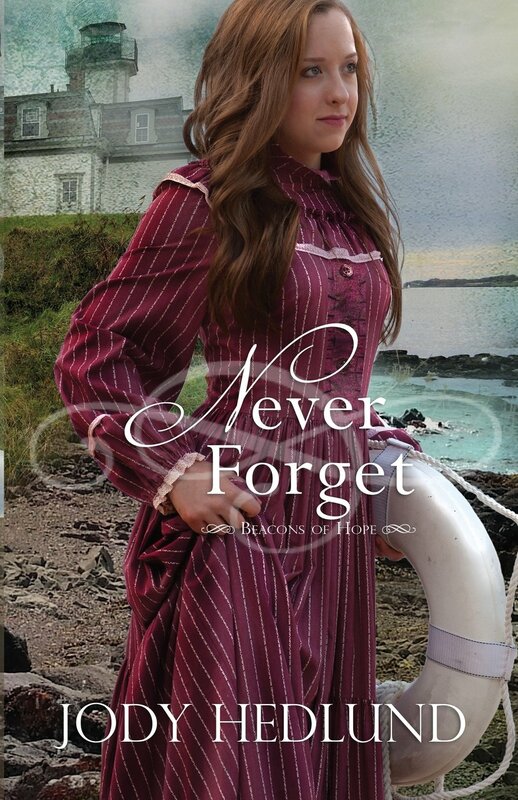 Never Forget was a powerful novel that spoke to my heart. I ‘felt’ the love and compassion of the characters, not only for each other but for all creatures great and small. Love radiated from the novel – love for God and love for each other. The novel has its foundation in fact as its lead character Abbie is based on a strong, real life character from the nineteenth century. Some of the action also has a grounding in reality. Never Forget is a perfect blend of fact meeting fiction and I loved it. It was a fabulous novel with lessons from God for us all to learn. I love Jody Hedlund’s writings and can highly recommend them. I am eagerly awaiting more from her.